If you thought Android emulators were cool, how about running Windows on Android with just an app? Here’s everything to know about Wine 3.0 Windows emulator for Android and how Chrome OS gets the best of it. Technology has been progressing tremendously in the 21st century, but it looks until the 90s for it to become personal. With the dawn of the software pioneers like Microsoft, computer technology grew into an accessible and affordable commodity. The concept of mobile devices started with a simple idea, but today we carry mini-computers in our pockets. The personal computer platform has evolved and branched out in operating systems like Linux, Mac OSX, and Windows. Similarly, the mobile OS industry has also grown to bring platforms such as Android, Windows Mobile, and iOS. While some have been far more successful than the others, they’ve always been compared to the performance of desktop machines. Android devices have evolved in hardware and software compatibility over the years, with more and more expected of them. 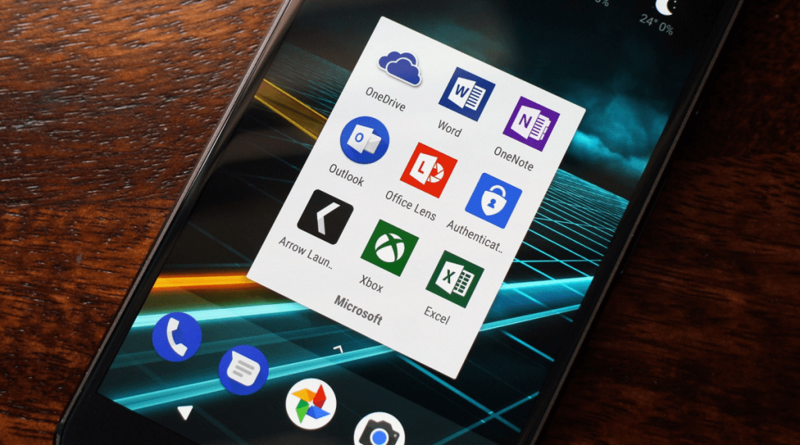 Even rivaling brands such as Microsoft have embraced Android and become developers of the best Microsoft apps for Android. While the gap between mobile and desktop continues to shorten, it has not blurred out just yet. While Google and Microsoft are at each other’s throats over the raging tech war, users just want to get along. This is the very reason we’ve been able to enjoy the ability to play Android games on PC, which is partly thanks to the open-source structure of the Android OS that Google has gladly maintained. It hasn’t taken long for modern Android devices to not only match but beat the hardware specs of mid-range PCs. So now that we have the hardware to support it, why not run Windows on Android and unlock the full potential of what our phone can do? Thanks to some really smart cookies and years of development Wine 2.0 Windows emulator for Android makes it all possible. Linux always has been the platform for the out-of-the-box users who want more freedom than Windows and Mac offers. However, the exclusivity of certain apps that are built just for the Windows platform makes it a stumbling block. The EXE file format of all Windows programs is not natively supported across other desktop and mobile OS platforms. This is why the development team at CodeWeavers have been working on bridging this gap for more than two decades. Built to run apps that aren’t available for the Linux platform, CrossOver was the first step to “emulating” Windows. While only available for full-fledged Linux machines running an x86 architecture, the service has now evolved into so much more. CrossOver has now become the most reliable way to run Windows software on Mac OS X devices. But the future of the software lies with Chrome OS, for which the company has already released a beta version. Since the mobile Android OS is based on Linux and an extension of Chrome OS, it isn’t hard to image the ability to run apps designed for Windows on Android. CodeWeavers created Wine (abbreviation for “Wine Is Not an Emulator”) as a compatibility layer that implements Windows API over Unix/Linux. Simply put, CodeWeavers don’t want you to consider Wine as a Windows emulator for Android since it can’t run any version of the Windows OS in its entirety. However, the recent release of Wine 3.0 and its ability to be installed directly on Android shows some real potential. Wine 3.0 is the first version of the software available in APK format to be installed on Android devices directly. Don’t expect a full-blown Windows 10 OS on your phone, as copyright dictates that you can’t Windows on Android yet. However, Wine 3.0 does make it possible to run Windows EXE programs on Linux-based operating systems. A massive upgrade from its previous version, Wine 3.0 apparently comes with more than 6,000 changes for enhanced performance. The biggest change is the fact that this Windows emulator for Android now comes with full graphics and audio drivers. Although limited, Wine 3.0 now also supports OpenGL, which opens door to graphics-intensive applications on virtually most Android devices. The Wine community has created its very own Wine Application Database (AppDB) to highlight the compatible Windows programs. Impressive 25,000+ apps exist in the database already, and more are being added regularly. Running these programs that have been designed for Windows on Android is made possible with Wine 3.0, but not without its own set of caveats. Can I run Wine 3.0 on any Android device? 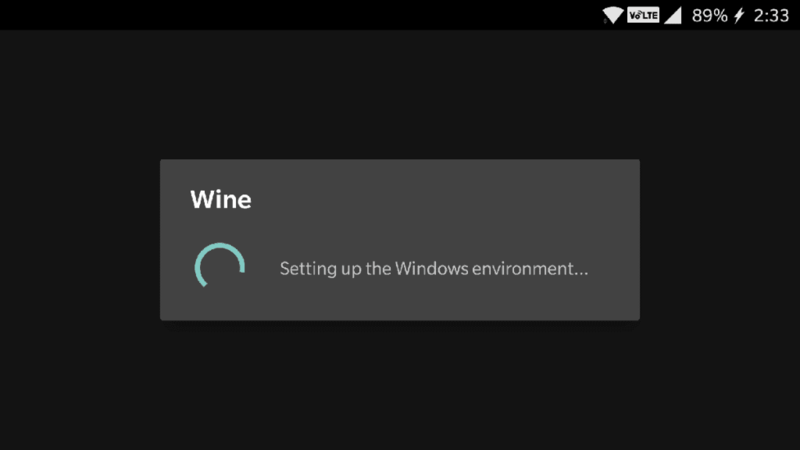 Despite the fact that Wine 3.0 can run Windows on Android, in theory, the developers are keen to state that it isn’t really a Windows emulator for Android. More so due to the fact that the software is barely stable enough to run, and its compatibility is hardware-dependent. Wine 3.0 is best compatible with an Android device packed with a processor that runs on x86 architecture. Since the majority of our mobile and tablet devices run on ARM-powered SoC, this means that the support is limited. However, CodeWeavers have released a version of Wine 3.0 for ARM-based devices as well, but with limited compatibility for apps. 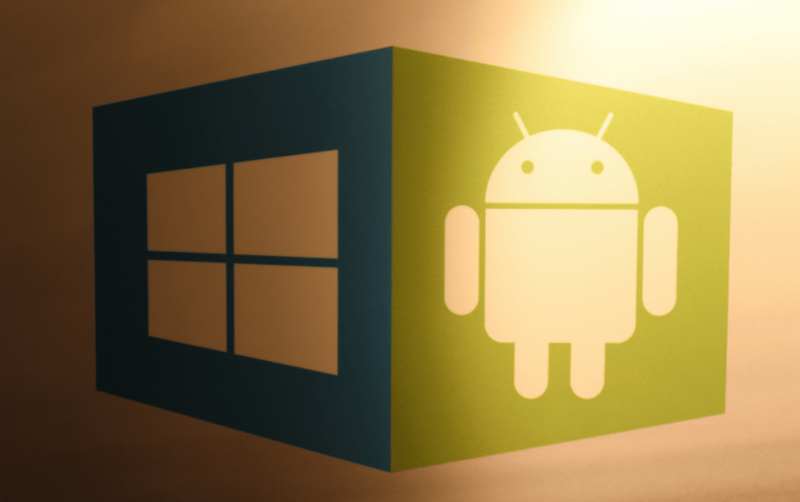 Support to run programs for Windows on Android is limited to applications ported to the Windows RT operating system. Since there aren’t many applications available for Microsoft’s 32-bit Windows RT operating system, you’ll need an x86 chipset Android phone or tablet, or a Chromebook to make the best out of it. If you’re feeling adventurous, there’s a long list of Windows apps that have been ported to the Windows RT system. Feel free to head over to the XDA Forums to get any one of the popular apps like Notepad++ or even retro games like Quake 2 and use the Windows emulator for Android to run them. Despite the latest massive update, Wine isn’t stable enough to run apps for Windows on Android seamlessly just yet. The graphics driver supports only full-screen mode and the interface is useless without hooking up an external mouse and keyboard. But do you really need the ability to run Windows on Android, with the Google Play Store at your disposal? With millions of apps flooding the Play Store, there are no Windows programs alternatives that you can’t find for Android. Albeit there are mainstream programs like AutoCAD and Intuit Quicken that are not available for Android. But would you really be able to work with these Windows app on your limited touch-based Android device? The end-game for this Windows emulator for Android is to be able to run programs on the desktop, which is Chrome OS. Considering that most Chromebooks are powered with x86 architecture chipset from Intel, running apps for Windows through CrossOver or Wine 3.0 should be a cakewalk. For instance, the support of Steam through CrossOver has already brought a slew of games to unsupported Chrome OS. While World of Warcraft on your tiny Android screen wouldn’t be a lot of fun, the ability to run it on your Chromebook is a game-changer. More importantly, you can find an Android-oriented version of every top-of-the-line software on the Google Play Store anyways. This not only makes running apps for Windows on Android not worth the trouble but quite redundant. Wine 3.0 is expected to get even better this year, with added graphics support with Direct3D coming soon should make the software even more useful. Now that you know everything about Wine 3.0, let’s get to business and see how to get it work. We tested out the Wine 3.0 app on a couple of ARM-based Android devices, and could only get it to work on the Samsung Galaxy Tab A. The app launched perfectly every time and the interface with workable, but most Windows RT apps that we tried out either failed to launch or gave back and error. CodeWeavers recommend that you use Wine 3.0 on an Android device running an x86 SoC chipset for stable performance. Owing to the latest update, you just need to install the APK file of the Wine 3.0 “app” on your Android device and get started. However, when you head over to the download page, you’ll notice a list of different versions available. From your Android device itself, head over to the official Wine 3.0 download page to get the APK file. If you have an x86 chipset device to work with, scroll down to find wine-3.0-x86.apk and download the file. For an ARM-based Android device select the wine-3.0-arm.apk file at the top of the list and download it. Once you have downloaded the file, make sure to move it to the local storage section of your Android device. Since this Windows emulator for Android is barely ready for public release, you can’t find it in the Play Store. After fetching the app in its raw APK format, you will need to manually install the app on your device. For this, you will need to enable Unknown Sources from the hidden Developer Options menu in the Settings. When you head back to the Settings menu again, you’ll be able to see the Developer options screen, so open it to find the “Unknown Sources” tab. Press the toggle switch next to Unknown Sources and confirm your action by pressing the OK button and you will now be able to install APK files directly. 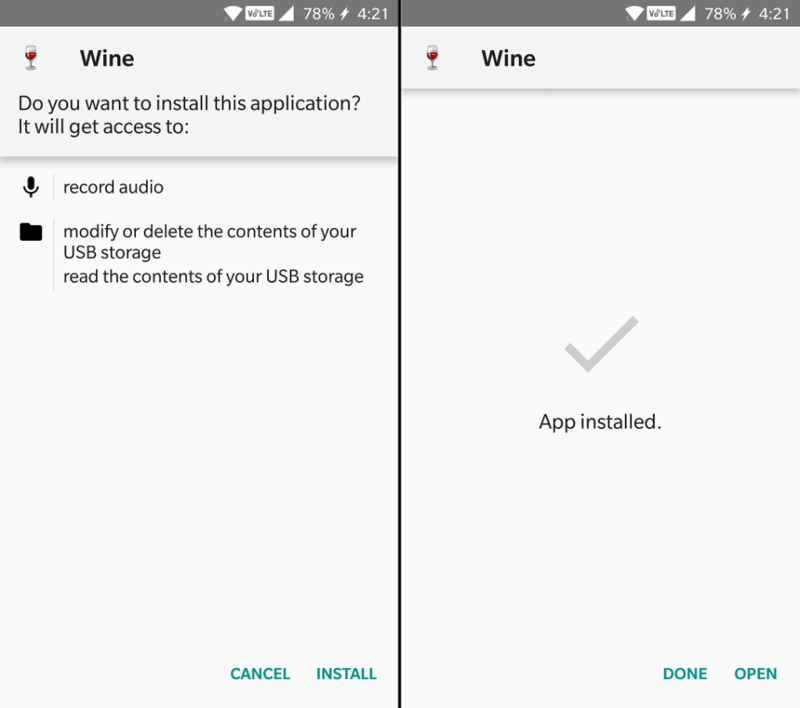 Now that you have the ability to manually install apps enabled, you can go ahead and install the Wine 3.0 APK file that you have downloaded. Using the file manager app, navigate to the storage location where you have saved the Wine 3.0 APK file. Tap on the APK file and press the Install button when the installation screen pops up. The process should take less than a minute to complete, after which you can go ahead and press Done. Now that you have the Wine 3.0 app installed and ready, you can go ahead and familiarize with the user interface. Just like you could on your Windows desktop, you will need to download compatible EXE files separately and use Wine to install them. After you’ve installed the compatible Wine APK file, it will be available to launch from the app drawer. Launch the Wine 3.0 app and wait a few minutes for the compressed files to be extracted. Give the Wine 3.0 program a couple of minutes to launch the Windows environment on your Android device. 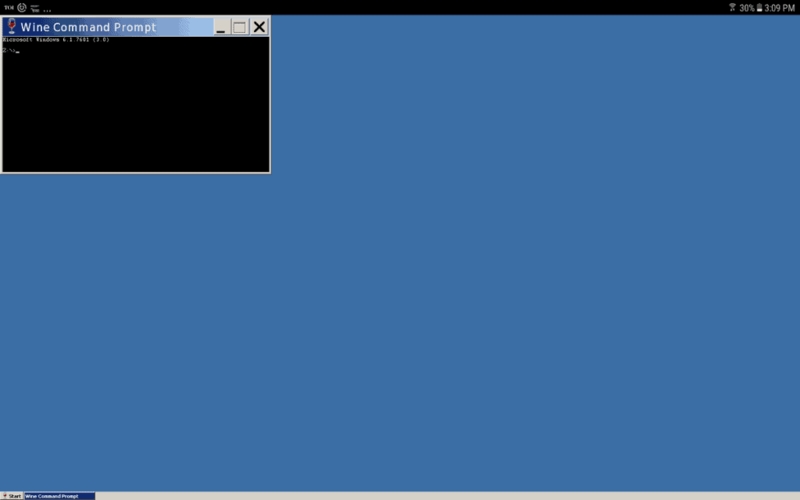 Once the Windows emulator for Android is up and running, you’ll notice an interface strikingly similar to Windows 98. By default, Wine 3.0 does not come with anything more than a Control Panel to add and remove Windows programs. Moreover, you get some rudimentary features like a built-in text viewer, a command prompt terminal, and a Run command option as well. Now that Wine is ready, go ahead and download a supported Windows program and save it your device’s storage. Launch the Wine 3.0 app on Android, press the Start button at the bottom-left corner of the screen. From the Start menu, select Control Panel and then tap on Add/Remove Programs tab that pops up. A new window will pop up on the screen, so press the Install button to navigate and install a program for Windows on Android. Using the file explorer window, navigate to the location where you have saved the Windows program EXE file and install it. 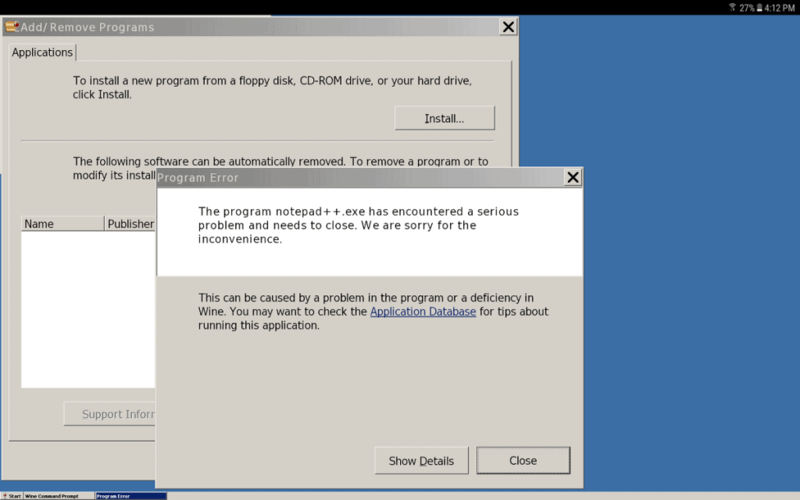 If a particular program in non-compatible (as it was on our ARM-based device), you will see a Program Error message pop up. You can repeat the steps mentioned above to install other supported apps on your virtual Windows-Android machine. As impressive as it is that there is a serious Windows emulator for Android, why fix something that isn’t broken? We believe that Chrome OS is where the future of emulators for Windows programs such as Wine is. Users expect Android to be a powerful, yet convenient mobile operating system. Mixing up the high functionality and complexity of Windows programs is a recipe for disaster. Chrome OS has already presented itself as the affordable and powerful desktop version of Android, and the ability to run apps for Windows on Android desktop is the very definition of cross-compatibility. Wine 3.0 is an innovative piece of software that will find more success with users who need to get Windows programs running on their Chromebooks. Do you think Wine 3.0 is the answer to bridging the mobile-desktop gap once and for all? 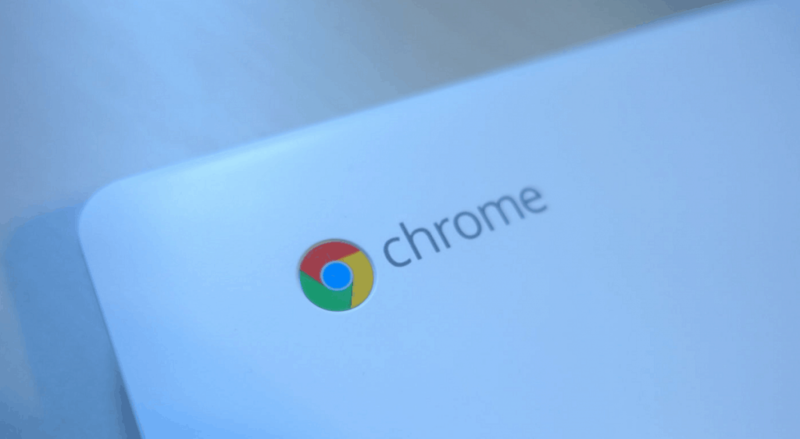 Would you rather see Chrome OS make the most out of cross-platform compatibility and leave your Android out of it? Do share your thoughts in the comments section right down below.